Smita Thackeray's son Rahul married Aditi Redkar in a traditional Maharashtrian-style wedding in Mumbai on February 9. 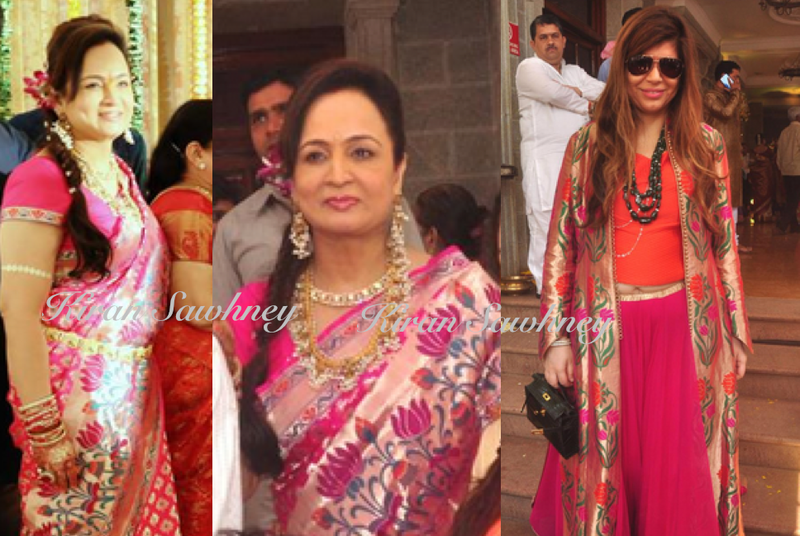 Smita was seen wearing a gorgeous paithak sari in fuchsia color. Paithanis are expensive saris made with real gold zari. Smita's sari must have costed a bomb. It certainly is in our lust list. At the same do, entrepreneur Priya Hiranandani was resplendent in a pink lehenga-skirt worn with an orange top and a brocade jacket.